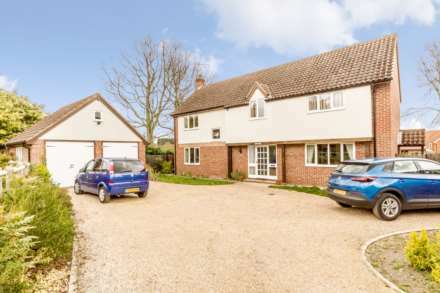 Conveniently located within a short walk of Swaffham town centre it`s local schools and amenities. Longsons are delighted to bring to the market this spacious two bedroom end terraced cottage. This property offers accommodation in the form of a galley style kitchen, large pantry, dining room, lounge, utility room, cloakroom, garden room, two bedrooms, shower room and off road parking. 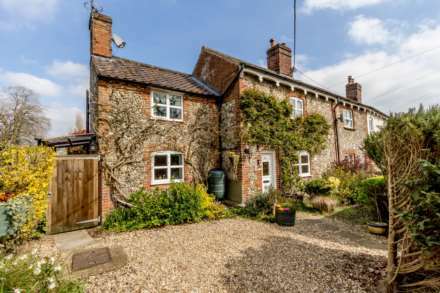 Property offered for sale with - NO ONWARD CHAIN! Range of matching wall and floor units, laminated work surface over, one and a half bowl composite sink, split level oven, electric inset hob, space for fridge, space and plumbing for washing machine, UPVC double glazed door opening to front aspect, UPVC double glazed window to the front aspect. Walk in pantry cupboard perfect for storage. Space and plumbing for washing machine, wash hand basin, UPVC double glazed window to the front aspect. Low level WC and UPVC double glazed obscure window to the front aspect. Stairs to the first floor landing, brick archway leading to the lounge, sliding door leading into the garden room, radiator. TV & Telephone point, radiator, UPVC double glazed window to the front aspect and sliding doors leading into the garden room. Triple windows to the side aspect, sliding glazed doors to lounge and dining room, GCH boiler and radiator. Stairs from the dining room, airing cupboard with shelving and housing the hot water cylinder, UPVC double glazed window to the side aspect. Fitted wardrobes, radiator and UPVC double glazed window to the front aspect. Fitted wardrobes, UPVC double glazed window to the side aspect and radiator. Hand wash basin with fitted vanity unit, low level WC, tiled shower enclosure with electric shower, radiator, extractor fan, vinyl flooring and UPVC double glazed obscure window to the side aspect. Wrought iron double gates lead into the courtyard style garden space and parking area.